I have been writing from the Biracial and Multiracial perspective since I co-authored the book, Being Biracial: Where Our Secret Worlds Collide in 2015. Being Biracial is an anthology of essays from either Multiracial people or parents of mixed race kids. My parents raised my brothers and me to self-identify as Black, and yes, I realize I'm light, bright and clearly half-White. 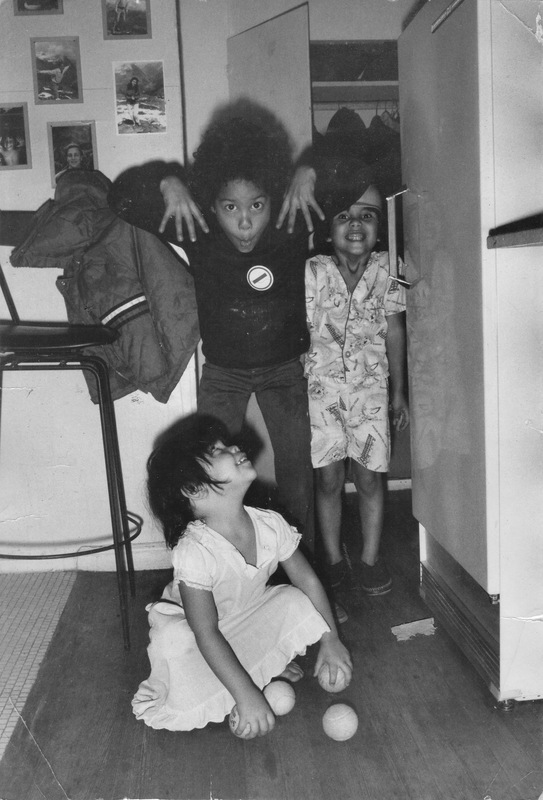 I wrote about how as a result of co-authoring Being Biracial, reading the essays from people who proudly embraced their mixed heritages, in my late 40s I decided to come out as Biracial and too began embracing my Biracial and Multiracial heritage. I loved the instant acceptance being a member of the Biracial and Multiracial communities, but I was never really sure I could pull this off. I never knew my Japanese (maternal) grandfather (he died when my mother was five) or my father’s parents who were of European descent. My father was disowned by his father for marrying my mother and so Black became the dominant culture in my home. When Alex Barnett interviewed my co-author and me about our book, I believe I was still self-identifying as Black but had started to consider the fact that celebrating my multiraciality didn’t mean I had to deny or reject the way I was raised, or stop recognizing the horrific treatment of African Americans and people of color around the world. Although it was slow at first, I got into being Biracial. I really did. It had started to become as much a part of who I was as being a woman and a writer. I loved finally being able to see in me what others saw. I loved creating Multiracial Media with Alex (in 2016). I am proud of the work we did and I love that Alex was able to keep the site going after I was forced to step down as co-owner of Multiracial Media following Hurricane Maria. But there was always something nagging at me. In spite of the instant acceptance by most in the Biracial and Multiracial community, nagging at me was this belief that it was disingenuous of me to identify as others see me, not as I see myself. But I have to be honest. 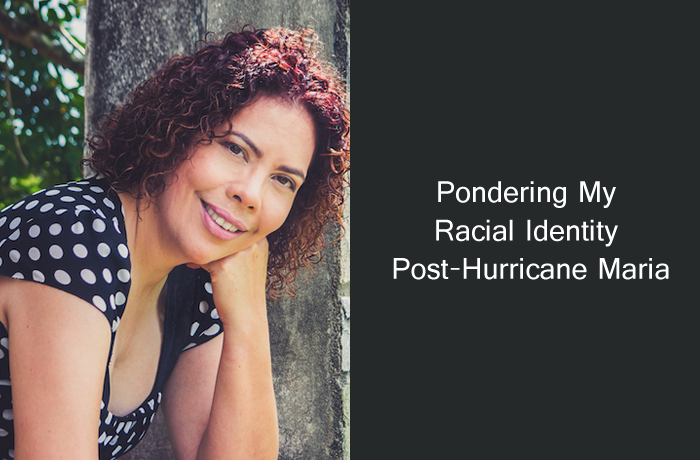 Living in Puerto Rico and Hurricane Maria changed me, and they continue to influence how I see myself and others. The hurricane destroyed Puerto Rico and we haven’t seen an end to her wrath. Each day our island experiences a new mudslide, another collapsed bridge, another road that was weakened by the hurricane and after multiple strong rains just washed away. Our collective trauma watching our island fall apart is compounded by the fact that we’re experiencing the largest diaspora since the 1950s when the U.S. installed the island’s first governor and “officially” made it a territory / colony of theirs—although it had been one since 1898 when it took Puerto Rico from Spain, who’d colonized it since 1493. It is also compounded by the fact that we desperately need more aid money from the U.S.—which owns Puerto Rico and has over the last 120 years forced a growing list of restrictions on us—but it seems there’s more money for starting wars than for rebuilding us. I find myself caught up in the struggles of my island as well as those going on around the world as much as I do the struggles experienced by my Black, Biracial and Multiracial brothers and sisters. While I feel the need to continue fighting for my global Black, Biracial and Multiracial brothers and sisters, I don’t feel the need to continuing defining myself racially, ethnically, culturally or by my nationality. And I get this is a huge luxury. People of African and Asian descent, or even European descent, have this luxury. This is only possible because I am more than one race and that I am just ambiguous enough, I can pull this off. And I hope how I choose to self-identify or not self-identify doesn’t offend you because I have to live with the consequences. Puerto Ricans, like Biracial and Multiracial people instantly accepted my husband and me. I’m not sure if it’s because Puerto Ricans are mixed race: being of African, Spanish and Taino descent, and that we’re told we look Puerto Rican or if it’s because Puerto Ricans come and go to the U.S. that they’re accustomed to seeing Black, Biracial and Multiracial people. I’m not sure what it is but I like it. My husband likes it. We are obviously different from Puerto Ricans. 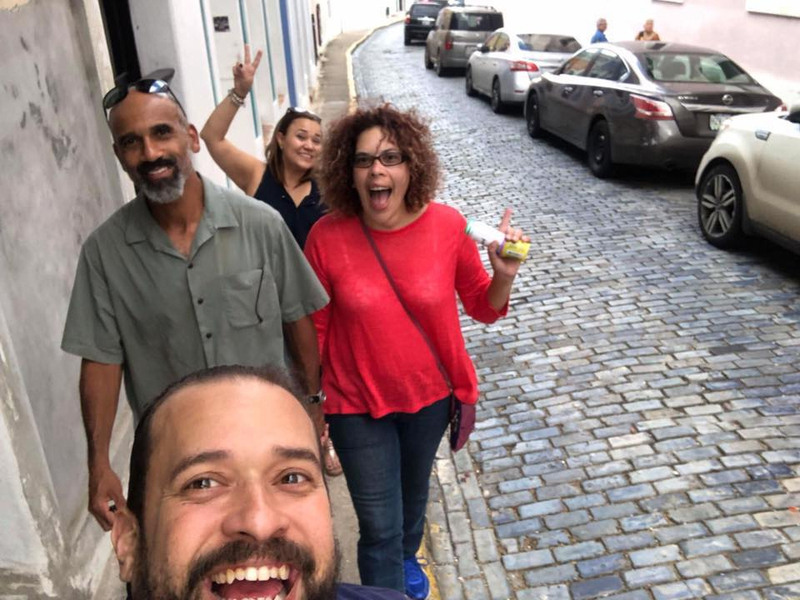 Our lived experiences differ from many Boricua (a word that comes from the Taino language that Puerto Ricans call themselves) but it’s not uncommon for our experiences to be similar to many of them because they come and go so freely. We may dress differently, speak English and have been known to butcher Spanish but Puerto Ricans are accustomed to this both within their own family (members who’ve lived in the U.S. a long time) and from Americans they meet here. With good friends of ours in Old San Juan in March 2018 following the Phil Collins concert. In some respects many Puerto Ricans straddle some of the same worlds I do. Not culturally “American,” although I’ve yet to see what the defining culture in the U.S. is, and not culturally Puerto Rican either. This dichotomy and duality is only possible for regions that are colonies of the mother country. The influence from the mother country is absorbed into the culture of the colony and the pride of the diaspora is strong, whether or not the culture and language are maintained. And because of this dichotomy, people like my husband and me can integrate into the culture more easily than someone from another country who holds on tightly to their culture, language, customs, music, etc. And by integrating, it doesn’t mean we have forgotten who we are and where we come from. It just means it’s not really important to keep reminding people. The struggles of the Boricua living on Puerto Rico and the family of those living here are our struggles. This is our home and whatever happens to our island, I’m going to fight for it as a Puerto Rican, not as an American or someone who’s Black, Biracial or Multiracial. It all means that I have come to identify not as Black, Biracial or Multiracial but someone living amongst Puerto Ricans, someone welcomed in as a fellow Boricua. As Puerto Rico continues being stuck in this netherworld, somewhere between statehood and independence, my husband and I, as well as Puerto Ricans share something unspoken with others suffering at the hands of imperialists and colonists everywhere. I meet Puerto Ricans all the time who just assume I’m Puerto Rican and the same way I loved the instant acceptance by those in the Biracial / Multiracial community, I love it here as well. I see no reason to correct people because maybe it’s just not that important to me anymore. And it’s got nothing with trying to be someone I’m not. It’s about being able to live someplace where I’m seen as an equal, and isn’t that what all PoC strive for? What is important is seeing myself reflected in the struggles going on around the world and in my own backyard: Puerto Rico.